for My Students... - Ms. P's classroom website! 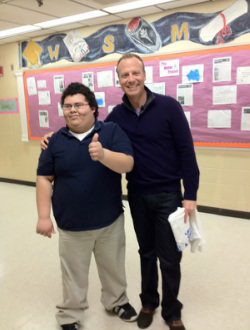 WSMS student Tony is one of Scot Haney's biggest fan...and got to meet him! My students create a wonderful journey every year! 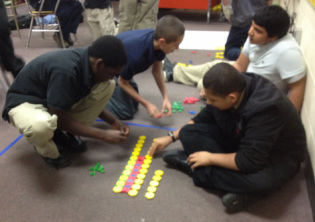 Here is the Math Resource Class using what they learned while playing Bocci! 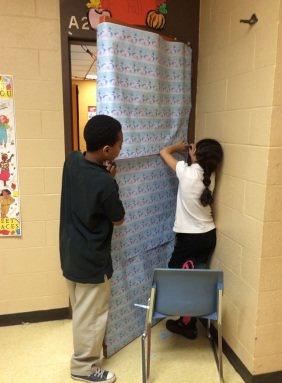 ELA classes uses what they learned about symbols and symbolism to compete in a door decorating contest. STOMP the Broadway show...is part of the readings that student encounter and experience in READ 180...since it was impossible to go to a performance; the class was enriched with a video of the show. 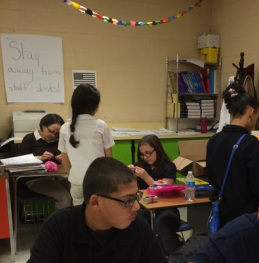 As part of the classroom theme; students' earned time to creating something special for others. Eighth grade celebration of girls! 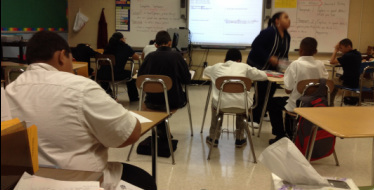 Peer tutoring is very successful in class. "Math is Patterns!" ...the math motto that is heard constantly, is seen here in action.